Born in Osaka, tuba player Daysuke Takaoka is a Tokyo-based improviser. His tuba playing incorporates a wide range of playing methods and unusual extended techniques. 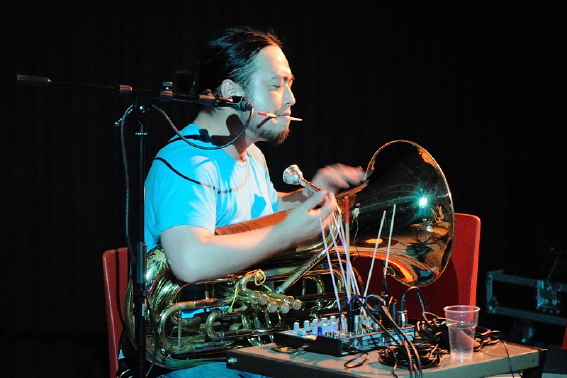 Takaoka attempts to create the complexity of electronic music on the tuba within a predominantly acoustic environment, which he refers to as an "acoustic synthesizer."